It is expected that teachers will be observed as they teach as part of AITSL’sPerformance and Development Framework. Do you want to use the best method? 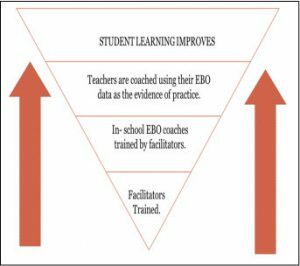 In 2010, Evidence Based Educational Consulting Ltd introduced into Australia the Evidence Based Observation APP and Coaching Programme which has been endorsed by DEEWR. You could say this is our speciality. EBO training takes between 2 to 4 days to complete with your chosen staff. Training includes learning to code classroom interactions, engaging in practice observations using either DVD footage or real lessons followed by intensive coaching training using the objective data. Ongoing support is part of our service to you.